The Harborview Towers’ parking garage is conveniently located beneath the building, with access to both towers from three parking levels. The garage elevator doors are access controlled and handicapped accessible. The Harborview Towers’ garage is gated, and controlled entry and exit is maintained. Our complimentary valet service at The Harborview Towers is offered 24-hours a day, seven days a week for guests and visitors. Any resident may have up-to five cars per event per day parked for up 24-hours at no cost. Long-term parking of guests (two days or more) can be arranged by calling the front desk in advance. 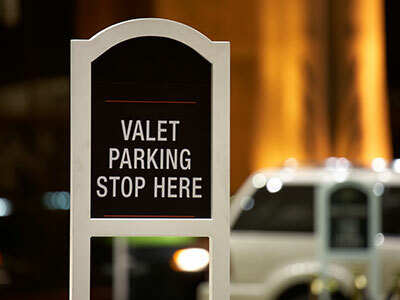 Event valet service can be scheduled where service is needed for more than five cars.